"Lord Krsna, the Supreme Personality of Godhead who appeared as the son of Nanda Maharaj, is the supreme hero in all dealings. Similarly, Srimati Radharani is the topmost heroine in all dealings. "Krsna is the Supreme Personality Himself, And He is the crown jewel of all heroes. In Krsna, all transcendental good qualities are permanently situated. 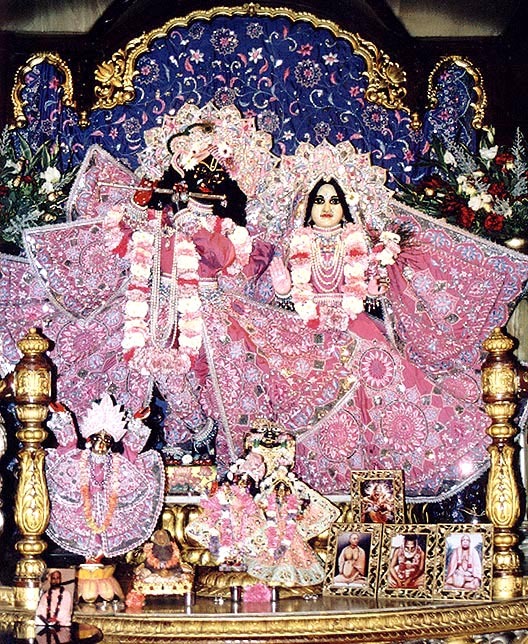 "The transcendental goddess Srimati Radharani is the direct counterpart of Lord Sri Krsna. She is the central figure for all goddesses of fortune. She possesses all the attraction to attract the all-attractive Personality of Godhead. She is the primeval internal potency of the Lord."